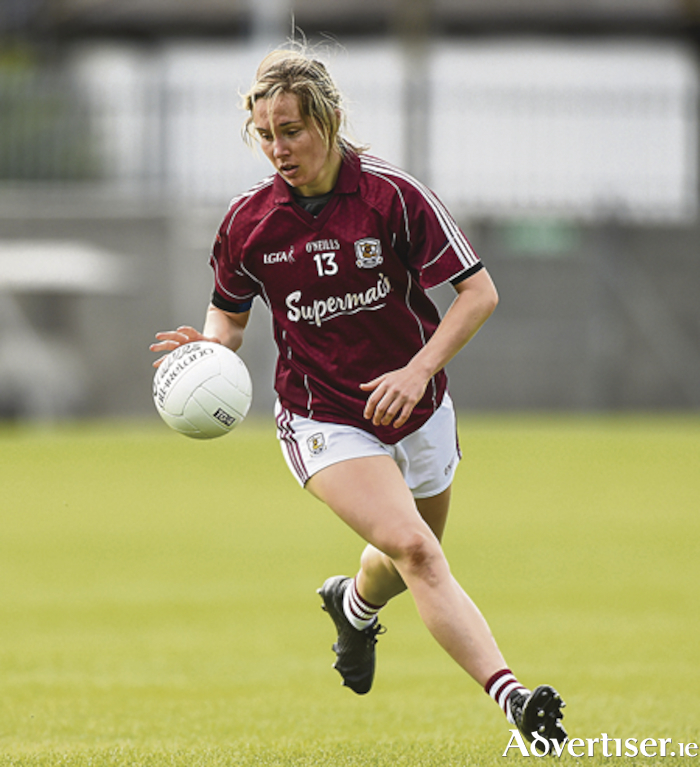 Tracey Leonard of Galway Ladies found the back of the net on Sunday in Bekan. Photo by Matt Browne/Sportsfile. Galway Ladies head north to face Donegal for their second Lidl National League fixture in Glenfin GAA Grounds on Sunday (2pm ), looking to add another win in their division one campaign. Last weekend's opener against Monaghan was celebrated with a 4-9 to 2-7 win, carved in the opening half with three goals in a 14 minute period. Ailbhe Davoren, Tracey Leonard and Leanne Coen eased Galway ahead with the three majors after Monaghan had taken an early lead. But there was no question where the points were going after Mairead Seoighe added the fourth to lead by 10 before the break. Facing into the elements, Galway were not as efficient. Donegal, meanwhile, lost to Dublin by 0-7 to 2-5, and will prove more difficult opponents for Galway. Galway: D Gower; F Cooney, C Cormican, S Lynch (0-1 ); S Molloy, N Ward (0-1 ), S Burke; A McDonagh (0-1 ), L Gannon; A Davoren, T Leonard (1-4, 4f ), L Coen (1-0 ); M Seioghe (1-0 ), S Conneally (0-1 ), L Ward (0-1 ). Subs used: O Divilly for L Coen (46 mins ), L Walsh for S Conneally (46 mins ), E Reaney (0-1 ) for M Seoighe (53 mins ), S Divilly for L Gannon (58 mins ), E Gavin for T Leonard (60 mins ), D Brennan for F Cooney (60 mins ).